Set your sights downrange and fire away at Jackson Hole Shooting Experience, which offers the chance to fire an array of different weapons under the guidance of a highly trained staff. 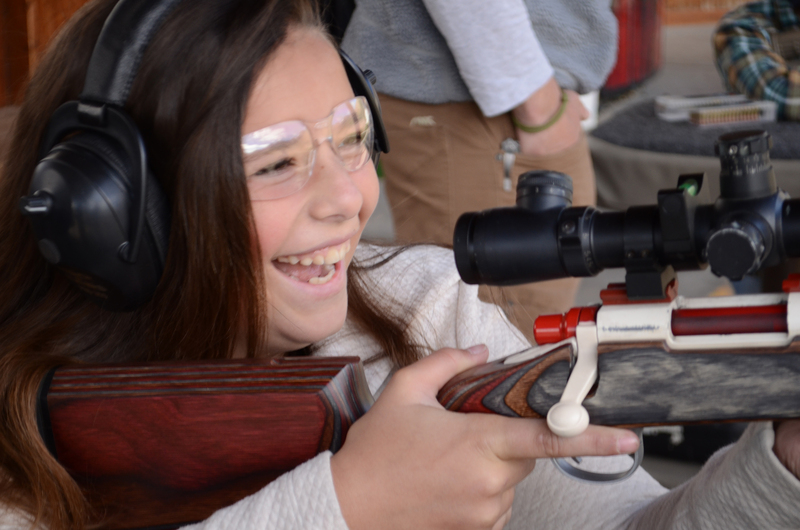 You'll suit up with the proper equipment (including hearing and eye protection)and head out to the range for instruction. 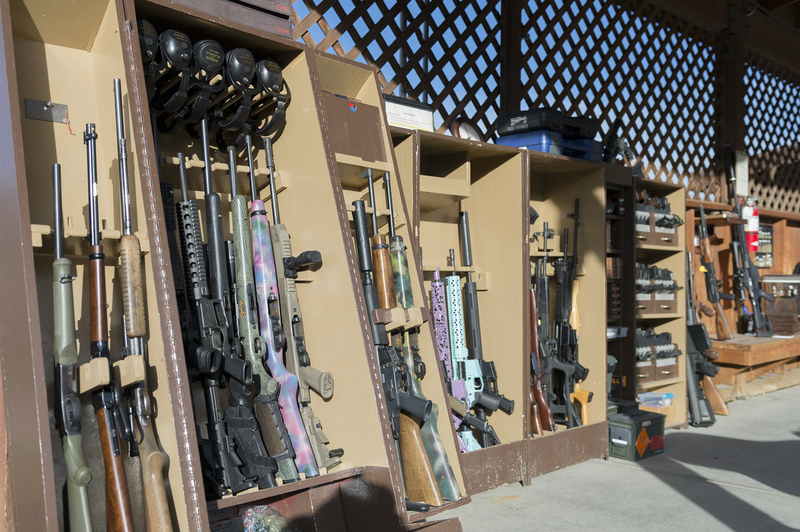 Choose from a variety of different guns and packages to customize the experience to your liking, from shooting basic handguns and pistols to more powerful rifles and scoped firearms. You can also opt for private, instructor-led courses and practice sessions designed to familiarize you with a certain weapon or class of firearms. 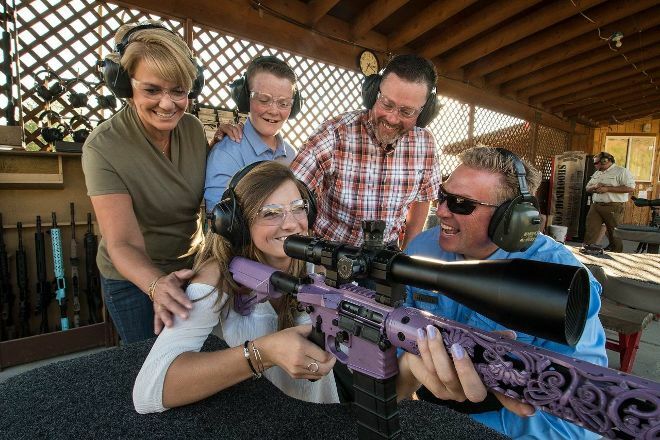 Keep in mind that the company prides itself on operating extremely safely, and offers you a chance to get acquainted with standard gun procedure and technique beforehand. Jackson Hole Shooting Experience is just one of the many highlights you can arrange to see using our online itinerary creator, Jackson Hole Edition. I went for a day long conceal carry class. It was a great day between classroom and range firing. Shepard was great. He made the class fun and a great learning experience all at once. His warm personality and great teaching style made for a great day. Thanks! I took part in the Concealed Carry class offered here. The classroom portions of the day were full of good discussion and the range time was fun and instructional. The instructors were safety-oriented and very professional. I would recommend this business for anyone interested in developing their shooting skills. There’s nothing like a day in the wilderness in my experience - whether it’s the desert, the mountains or offshore. It settles the mind and focuses you in ways you can’t find in the rush of day to day life. To make it perfect, what if I can add a memorable and important experience to that day in the wilderness? And what if I can make the experience smooth and easy at the same time? That’s just what JHSE’s Nomad Rifleman is. Combine the experience of being in the Wyoming backcountry - miles of scenic views and not another soul around - with learning to shoot extended long range. Top that off with five-star service, food and a staff of knowledgeable and gracious hosts, and you get the Jackson Hole Shooting Experience Nomad Rifleman day. And at the end of the day, I managed to locate, DOPE and hit targets from 700 yards all the way to 1860 yards. I’m not sure what you think of a one mile shot. I thought I couldn’t do it - my home gun range only goes to 600 yards, and that’s as far as I’d hunt, so shooting this far seemed out of the realm of possibility for me. However, thanks to the patient ministrations of world-class long range shooting instructors Scott Austin, Steve Marsteller and Shepard Humphries, I not only hit the target, but was able to come back later the same day on my own, dial in my own DOPE, and hit the same 1860 yard target two more times. And as a prize, we were fed a fantastic lunch, cooked on site, complete with fresh peach cobbler! My wife and I took a Concealed Carry class in December 2017. I’ll start off by saying it exceeded our expectations and then some. We had taken some pistol classes back in Illinois before we moved to Wyoming, but they paled in comparison to the class that Shepard taught, and the range instruction provided by Shepard, Reverend Dave, and Tony. My wife and I do not have a whole lot of experience around firearms, but Shepard and his team of instructors made us feel at ease and provided actionable advise and instruction. By the end of the day I was more confident in what I was doing and was shooting the best I had been to date. The best part of the experience was even though my wife is not a big fan of firearms, she encouraged me to follow up and take more lessons. Thanks Shepard, Dave and Tony! I don't know where to start!! I signed up my husband and myself for the three hour class and that's all it took!!! I had instruction from Shepard the first year and Lynn the next year and because they made learning so informative and fun I came back home from vacation and started the process for my firearm license. I can't say enough about their wealth of knowledge which they combined with fun times so much so that I became a member of the range out there even though I live in Albany, New York!! When Lynn heard we were coming out one August, she went out of her way to set up a sample of the competition that I was going to participate in. Before you even unpack your bags, you need to sign up for a lesson!!! You'' ll be amazed!!! Best instructors/friends ever!! Every day, we help thousands of travelers plan great vacations. Here are some tips on how to use your Listing Page to attract more travelers to your business - Jackson Hole Shooting Experience. Promote your permanent link - https://www.inspirock.com/united-states/jackson/jackson-hole-shooting-experience-a372572097 - on your website, your blog, and social media. When a traveler builds a plan from this page, the itinerary automatically includes Jackson Hole Shooting Experience. This is a great way for travelers looking for a great vacation in your city or country to also experience Jackson Hole Shooting Experience. Promoting your link also lets your audience know that you are featured on a rapidly growing travel site. In addition, the more this page is used, the more we will promote Jackson Hole Shooting Experience to other Inspirock users. For best results, use the customized Trip Planning Widget for Jackson Hole Shooting Experience on your website. It has all the advantages mentioned above, plus users to your site can conveniently access it directly on your site. Visitors to your site will appreciate you offering them help with planning their vacation. Setting this up takes just a few minutes - Click here for instructions.